← Greece: Are You Finally Ready to Do the Right Thing and Leave the Euro? The lie about William’s getting shot down reinforced several ideas and narratives. 2) We need to fight these people, they are fighting us. 4) Excitement! Ratings! Stories about people trying to kill rich innocent journalists are exciting! People at home can feel better about killing Iraq’s when America’s Favorite 30 Rock guest star is almost killed. Getting the perspectives of the poor innocent Iraqis is boring and makes people at home feel bad. I’m falling asleep just typing that sentence. 5) The biggest relate-able celebrity is always used to pitch the story. Want to tell a story about the massive tsunami in another country? Tell the story of the white supermodel caught in it. 6) Use the “missing white woman” story for war. The decision by NBC and Williams to co-opt a real person’s experience was useful to get the public’s attention and empathy using someone they could relate to. NBC and Williams might even have justified the lie saying it was representative of others’ real story that wouldn’t get covered without celebrity. Clearly this story could have been corrected many times in the past, but think about who would have had to do it and what they risked doing it earlier. Then think about how we can force earlier corrections. If the officer calls out Williams and asks for change what happens? Awkward! Maybe the officer just lets it slide and tells the solider to not bring it up since it’s true in general for people in some choppers, just not specifically for Williams. Say you were a cameraman on the chopper with Williams and knew the story was BS. You tell the producer who thinks, does correcting this “mistake” help or hurt the story to the American public? What about NBC’s and Williams’ credibility? How will the NBC brass feel finding out that the “brave reporter” story they have been hyping is a lie? Remember, NBC is the network who fired a top-rated money-making show because they didn’t want to be seen as anti-war. Of course smart people might ask, “Hey, if they made up stuff about the last war, might they be doing the same now with ISIS?” Shut up. Shut up. Shut up! I can’t believe you aren’t shutting up already! Getting swept up in a pro-war narrative doesn’t just happen. It takes a lot of people who encourage it and keep it going. We will need narrative busters for current and future wars. People who can tell the truth and help thwart a easily lead media. Finally, Williams’ lie wasn’t a mistake for the pro-war forces, it was a valuable gift, worth 100’s of millions of dollars given by NBC to military contractors (one of whom, GE, was its parent at the time). Brian Williams, Charlie Gibson and company are paid to play the role of TV reporters but, in reality, are mere television emcees — far more akin to circus ringleaders than journalists. It’s just as simple as that. David Halberstam pointed that out some time ago. Unlike Yellin, Donahue and Banfield, nobody needed to pressure the likes of Williams, Gibson and Russert to serve as propaganda handmaidens for the White House. It’s what they do quite eagerly on their own, which is precisely why they’re in the corporate positions they’re in. Brian Williams doesn’t occupy the position he occupies — as America’s Most Serious and Visible News Anchor — despite his vapid glorification of American political and military leaders; he occupies it precisely because he’s so good at doing that. That’s the prime requirement of this job. Greenwald also tears into Williams for pushing propaganda on Iran, and interviewing paid defense analysts without revealing their financial incentives. Williams was a reliable foot soldier in the neocons’ war on truth. “No one in their right mind, [Williams] believed, would want America to pull out tomorrow. He did not want America to withdraw from Iraq.” Of course he didn’t: he and the rest of the flag lapel pin-wearing “mainstream” media had too much invested in the War Party’s success. 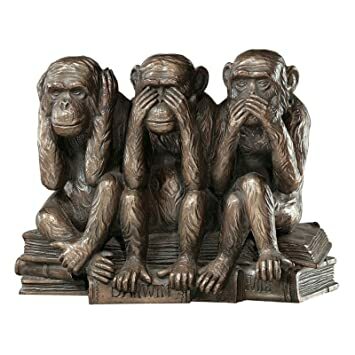 Hear no evil, see no evil, speak no evil – that’s how the trained monkeys of our “mainstream” media treat the depredations of US imperialism: there’s no need to “upset” the delicate sensibilities of Americans, who might be disabused of their rulers’ beneficence. Better to view these crimes through the Vaseline-covered lens of a committed shill. Williams isn’t a reporter: he’s a cosmetician, whose job it is to prettify the ugly truth. By the end of it, hundreds of thousands of Iraqi civilians had been slaughtered – by “accident,” no doubt. Williams is just another presstitute.